BITSAT Test Centres are spread in different states throughout India and overseas. 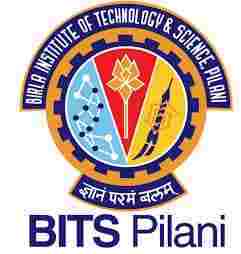 BITSAT 2018 is the computer-based engineering entrance exam for students seeking admission to engineering first year in Birla Institute of Technology & Science. BITSAT 2018 will be conducted from 16 May 2018 in major cities throughout India. As a large number of students will take the BITSAT 2018 Exam all over India, apart from Pilani, Goa and Hyderabad campuses of BITS where it is expected that a large number of students will take the test, the Institute is also planning to offer the tests at dedicated test centres in several cities. The list of the BITSAT Test Centres is given below. The candidates need to scroll down. The candidate can choose the centres from within India or Dubai as per their convenience from the list given below and mention the same in at the BITSAT Slot Booking which will begin from 23 March 2018 and end on 5 April 2018. If the candidate chooses centres within India, they will be asked to give three preferences and will be allotted one out of these three. If a candidate chooses Dubai as a centre, they will not be asked for any other centre preference and will be allotted Dubai centre only. BITSAT Test Centres have been allotted to the registered candidates. The candidates can check the allotted centre by following the link below. The list of the test centre along with the address is given below in the tabular form but the question is how the candidates will know which test centre is allotted to them. Well, to check the test centre allotted, the candidate has to enter the following details in the given link. There are total 62 exam centres in 50 cities introduced this year to conduct the BITSAT Test. The test centres are listed out below, and the candidates should go through the list below and the address along with the centre name is also given in the list. BITSAT CENTRE Sri Aurobindo Institute Of Technology(SAIT), SAIMS Campus, Indore-Ujjain Highway, Near MR-10 Crossing, Indore (M.P.) - 453555." BITSAT CENTRE Edusurge EN – 34, Sector V, Salt Lake (Webel more) Kolkata- 700 091 Landmark – Opposite to HDFC Bank. BITSAT CENTRE Thakur College of Science & Commerce Thakur Shyamnarayan Marg, Thakur Village, Kandivali(E). Mumbai - 400101. BITSAT CENTRE Maharashtra Institute of Technology(MIT), Dept. of Computer Engineering, Near World Peace Library Building, Survey No. 124, Rambaug Colony, Paud Road, Kothrud, Pune - 411038. BITSAT CENTRE Shri Shankaracharya Institute of Professional Management & Technology, Old Dhamtari Road, P.O. : Sejabahar, Mujgahan Raipur, Chhattisgarh, Pin Code: 492015. In case of any queries regarding BITSAT 2018 Test Centres & Allotment, you can write us in the comment section below. BITSAT 2018 Application Form - Deadline Extended! BITSAT Slot Booking 2018 - Started! BITSAT 2018 Application Form Correction Started!